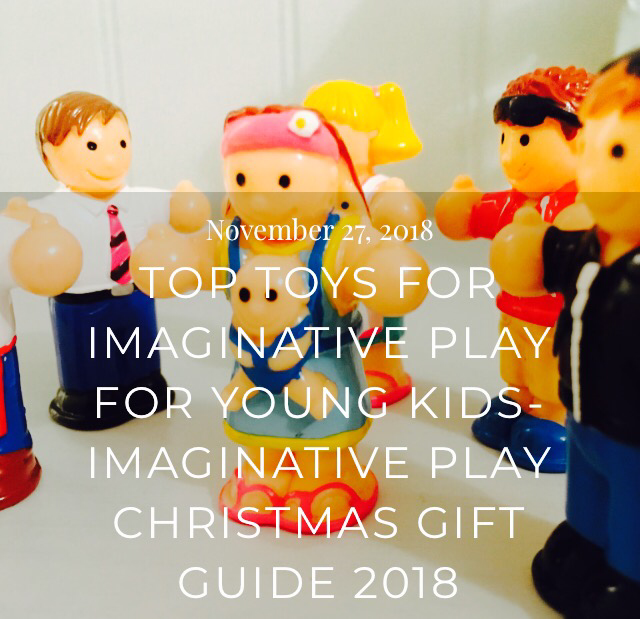 If your child loves playing pretend, have a look at our top ten toys for Imaginative Play in 2018. Great for Christmas Presents for young children. Playing at Doctors can be brilliant fun, we love the Wannabees Pretend Doctor Play set as it enriches this activity by providing your child with appointment cards, doctor notes sheets, eye sight test etc. (Also helps develop key literacy skills too…don’t tell the kids!) Find out more about Wannabees from our full review of one of their other sets, the Cafe Owner Pack here. It’s no secret that we are a little bit in love with the Carddies sets here at The SEN Resources Blog (See our reviews here)! What’s not to love about little cardboard people to colour in and then play imaginatively with? Portable, enjoyable and novel. They also encourage a love of colouring, which has so many benefits (find out the benefits of colouring here) If you buy via Amazon, feel free to use our 12% Off Discount Code ‘CHESTUT’ in the “Gift Card and Promotional Codes” box at Carddies Amazon checkout. My children absolutely adore the little characters from the WOW Toys sets, with their friendly faces, catchy names and thumbs up poses. See our reviews here. 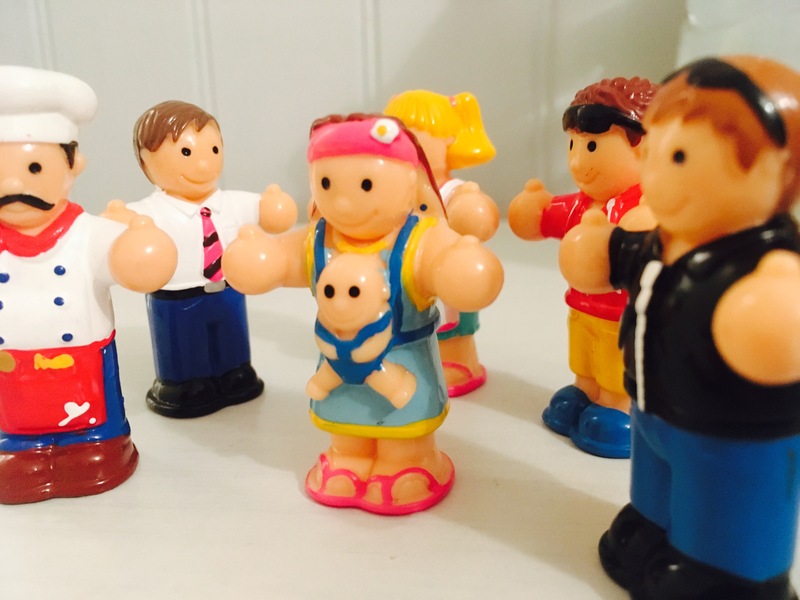 The Town Buddies are our new favourites as they include a mum with a baby attached to her in a tiny baby carrier! Children often love to pretend to do jobs and tasks that adults do, helping them to make sense of the world we live in. This wooden, toy coffee maker is wonderful for exactly this. My children love to pretend to make their own coffees with their ‘machine’ (…whilst I make a real one!) enjoying everything from adding in the coffee pods to stirring in sugar. It’s great that it’s wooden and not plastic too. If you’re after something that helps fuel children’s imagination but also serves a purpose of rewarding them- the TotsUp Big Bus reward chart is definitely worth a look at. Rewards can be excellent for so many reasons (find out more about why I think Rewards are Important here) and by making the reward chart fun its more appealing to kids. With this reward chart children can put their people tokens to wait on the bus stop then move them onto the bus when they do something good! P.S We’ve also spotted they have Christmas themed people reward tokens now too! Dinosaurs are always a popular imaginative Play toy but we have noticed that they can vary vastly in quality. So we were delighted to discover these Jumbo Dinosaurs by Learning Resources UK. There’s two sets to choose from (ensuring you will be buying your child’s favourite dino) and the quality is absolutely excellent. We think Playmobil sets are one of the best toys for encouraging and supporting imaginative play. They are also fantastic for such a wide range of ages, providing real longevity to the toy. Their range of sets also means they cater for pretty much every child’s interest, from fairies to rockets! Our current favourite is this Baby Starter set complete with everything you need to look after a (pretend) baby! Perhaps the ultimate doll/toy baby. Incredibly life-like, she moves, giggles and even talks! She’s also absolutely adorable with her huge eyes and suprised facial expression. I’m not sure I can even count how many times I’ve played pretend shops with children! Great fun and kids learn so much from it, such as counting, healthy eating, addition, subtraction and other money skills. This till by Ikea is one of my favourites because of its wooden finish and good value. Lego is fantastic, not only does it enable children to create worlds that they can play with imaginatively- for example, this Airport set. But Lego itself fuels the imagination as it can be pretty much anything the child wants it to be! This Airport Building set with 694 pieces is full of genius detail to create a very impressive and realistic airport to play with. Such a helpful toy review thanks.